As a Delta Platinum and Diamond Medallion for the past 5 years, Delta’s international upgrade policy has always been a thorn in my side. Top-tier upgrades have historically been restricted to Y, B and M fare classes (read: super expensive), so I’ve generally chosen other perks for my Choice Benefits options. However, Delta announced today that starting March 1, 2014 Diamond Medallions will have new Choice Benefits options: Regional and Global upgrade certificates; and Platinum Medallions will be able to select Regional Upgrades. 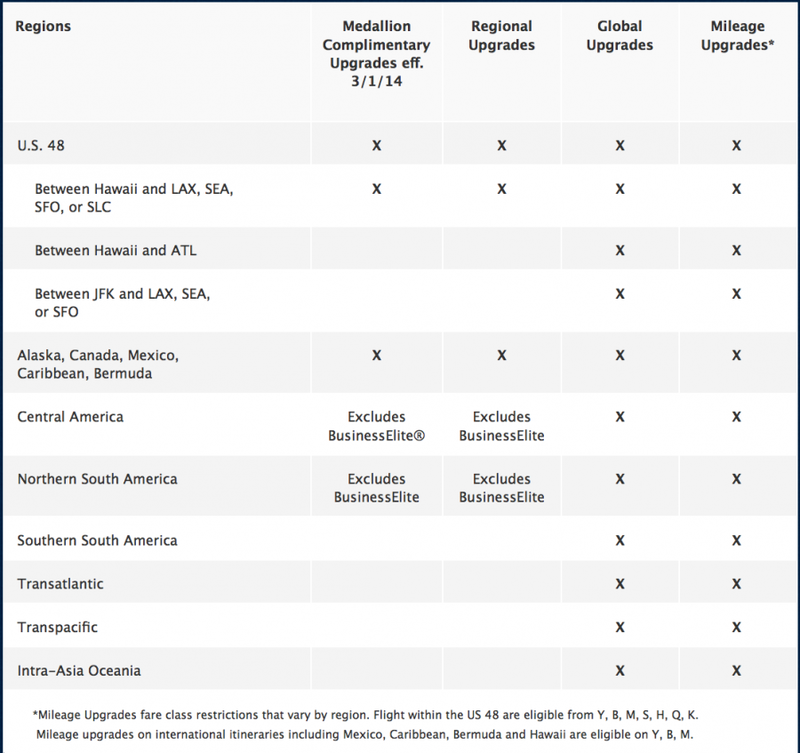 The big news is that Global upgrades will be eligible on pretty much all paid fare classes for International and Domestic BusinessElite routes): Y, B, M, S, H, Q, K, L, U, T, X or V classes. They may be redeemed for the named Medallion member and up to one travel companion in the same reservation. The named member and the companion will each require a separate certificate. Complimentary upgrades for the transcontinental BusinessElite routes (currently assigned at the gate based on availability) will no longer be a benefit. Instead, Diamond Medallions can select to upgrade those routes (and other international routes) using Global upgrades or miles. Also, upgrades to Hawaii from LAX/SEA/SFO and SLC are now eligible for complimentary Medallion upgrades, which is a nice change for those who don’t mind flying old-school business class to Hawaii! 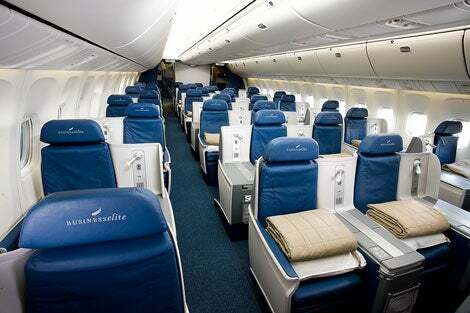 Bottom line, Delta is making people pay a premium for their BusinessElite product. This now totally changes the Diamond value proposition – I know many people who stop short of the 125,000 MQMs required and opt to instead rollover a ton of MQMs and stick with Platinum. Now those 4 Global Upgrades, which are eligible on cheaper fare classes, could easily be worth $2,000 or more based on how much you value BusinessElite. I still think American Airlines Executive Platinum is the best top-tier status. Not only do you get complimentary upgrades on transcontinental routes, but you get 8 systemwide upgrades that are eligible on all American flights – plus AA does not have cumbersome revenue requirements and their miles are much more valuable than SkyMiles. But still, this is generally good news for Hawaii flyers and Diamond Medallions. I think transcontinental flyers who want upgrades need to look at American or even JetBlue and their reasonably priced new business class product, Mint. Valid on all flights coded as KLM and operated by KLM. 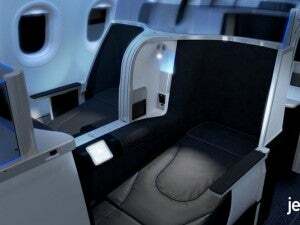 One-way upgrade from published Economy fared in Y, B, or M class to Business Class. Valid on most transatlantic flights operated by Air France. One-way upgrade from Economy when booked in Y, B, or M class to Premium Voyageur Class.